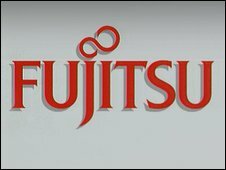 Some Northern Ireland-based staff at Japanese technology firm Fujitsu have begun a three-day strike. The strike is over job cuts, a pay freeze and pension changes. Last year the IT services unit of Fujitsu said it would cut up to 1,200 jobs in the UK. About 30 members of the Unite union are on strike in Northern Ireland. Workers at the north of England's headquarters in Risley near Warrington and the sites in Manchester and Crewe have also walked out. A Unite spokesman said that weather permitting, staff would also form picket lines outside the company's buildings. The company employs 700 people in two offices in Northern Ireland - one in Belfast, the other in Londonderry. Staff at Fujitsu held a one-day strike in December. They will stage further strike action on 14 and 15 January.